Quick quiz: if you’re in your 20s or 30s (and often even your 40s), what’s your biggest financial asset? Just about everything you plan on accomplishing in the future is based on the expectation that you will continue to earn money. 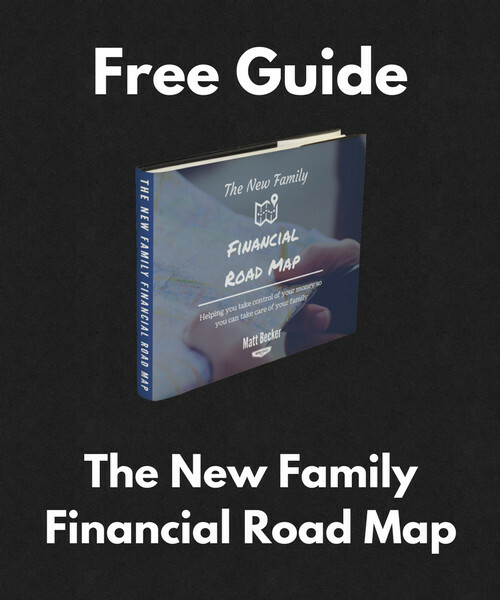 That income is the fuel that allows you to reach all your biggest financial goals. Now, that doesn’t mean that you have to earn a lot of money. It just means that you have to earn enough to reach your personal goals, and it means that protecting your ability to earn enough should be one of your top financial priorities. For some reason, disability insurance is largely ignored. You almost never hear it discussed and very few people have any coverage beyond whatever their employer offers (or doesn’t) by default. But disability insurance is crucial for anyone who isn’t already completely financially independent, and therefore needs that future income in order to reach their financial and personal goals. You can use the links above to navigate to whichever section applies to you, or you can simply read the entire guide from start to finish. Unlike life insurance, which is only necessary when you have people who are financially dependent upon you, disability insurance is crucial for anyone who still relies on their income to pay their bills and save for the future. The coverage kicks in any time medical issues keep you out of work for an extended period of time, or if they force you to work in a diminished role with a reduced income. When that happens, the insurance company will send you a monthly check to replace some or all of that lost income. This is valuable for two main reasons. According to WebMD, your odds of becoming disabled for some period of time before you retire are about 1 in 3. The Council for Disability Awareness says it’s closer 1 in 4. Either way, the odds are significant. In other words, most disabilities are caused by chronic medical conditions that could happen to just about anyone at any time. That’s not meant to scare you. But it’s important to understand that this kind of disability is both fairly common and largely out of your control. Which is a big reason why it’s worth planning for and protecting against. Of course, there are undesirable things happening all the time that we don’t insure against. I burned the chicken nuggets I was cooking for my kids the other night. Unfortunately for them, there was no insurance company there to swoop in and save dinner. The difference is that the cost of some burnt chicken nuggets is small while the cost of an extended disability can be very high. Think about it this way: how long would your savings last you if your income stopped today? Hopefully you have an emergency fund that could get you through a few months. Maybe even a year. But what if your health issues lasted longer than that? What if, in addition to your regular expenses, your disability forced you to incur additional medical expenses? How would your bills get paid? How would you save for the future? This is why the promise of that monthly check is so valuable. By replacing your income, disability insurance allows you to continue paying your bills, continue providing for yourself and your family, and continue saving for the future while you’re out of work, potentially for years at a time. 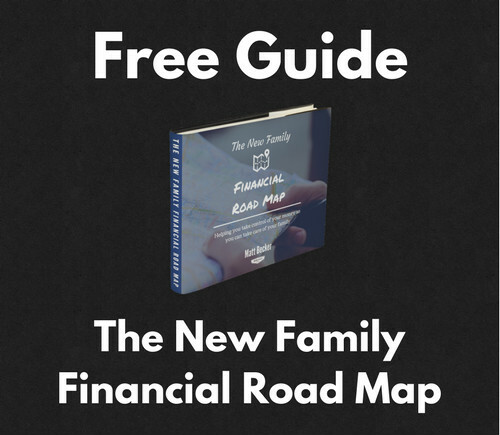 It protects and replaces your biggest financial asset: your future income. That’s why just about everyone needs disability insurance. It doesn’t matter whether you’re single or married. It doesn’t matter whether you have kids. Unless you can support yourself for the rest of your life on the savings you’ve already accumulated, disability insurance is a protection you probably need. With that in mind, let’s look at how disability insurance truly works and what kind of policy you’ll want to get in place. If you’re convinced that disability insurance is something you should have, it’s time to start looking at the coverage options available to you. This is where it gets tricky. Disability insurance is fairly complicated, with a lot of different coverage options and strange terminology surrounding them. It’s normal to feel confused and overwhelmed by all of it. 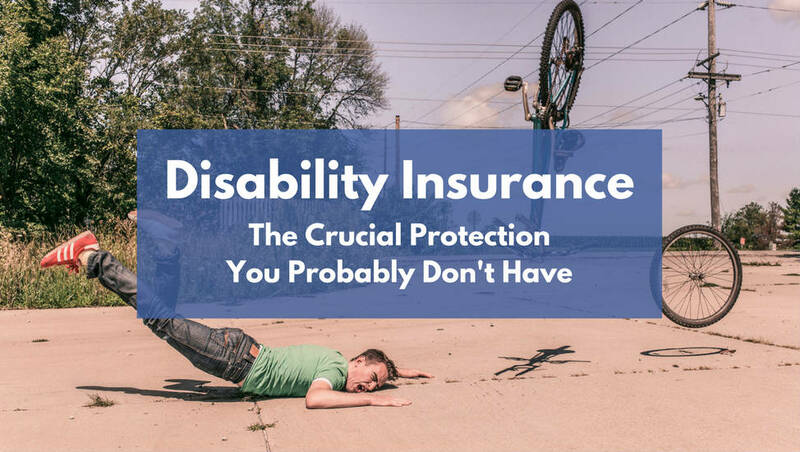 But you deserve to know what you’re paying for and what protection you really have in place, so here are the 11 most important variables you need to consider when purchasing a disability insurance policy. Short-term disability insurance replaces your income for a limited period of time, often 3-6 months. Once that time has passed, the insurance runs out and you are on your own. Long-term disability insurance replaces your income for a longer period of time. Shorter policies may only last 5 years, but many policies will continue paying benefits until age 65 or 67 as long as you continue to be disabled. While there is some value in short-term disability insurance – maternity leave is a common use – it can also largely be replaced with a good emergency fund. If your employer offers short-term disability insurance for free or at a small cost, it’s often worth taking. But otherwise it’s often more cost effective to put your money towards a savings account instead of an insurance policy. Long-term disability insurance is where the real value is. Because while your emergency fund may be able to get you through a few months, it’s the risk of being out of work for years that you really want to protect against. For that reason, the rest of the this guide will focus almost exclusively on long-term disability insurance. Believe it or not, there’s more than one way to define disability. And the way your policy defines it is incredibly important since it determines the circumstances under which you’ll be able to collect benefits. At the highest level, there are four basic ways that insurance companies define disability. The broader the definition, the stronger the coverage. Policies with broader definitions generally cost more. Depending on your occupation, skills, and the job opportunities available to you, it may or may not be worth paying for the strongest protection. While most policies fall within one of these four categories, each disability insurance policy has its own language and you’ll need to read the definition closely to understand exactly what does and does not count as a disability. With that, here are the four general ways of defining disability. Own occupation policies define disability as the inability to perform the tasks required of your current job. This is the broadest definition that provides the most protection and pays benefits in the widest range of scenarios, since it only evaluates your ability to do the specific job you have right now. Even if you return to work, and even if your income is the same or more than it was before, you can continue receiving benefits as long as it’s a different job than you had before. Any occupation policies define disability as the inability to do work of any kind. This is the definition that Social Security uses and it is very difficult to qualify for. If you can do any job, regardless of income, your insurance won’t pay. This is why you generally shouldn’t count on Social Security as part of your disability coverage. Modified own occupation policies define disability as the inability to perform any job for which you are reasonably suited based on experience, education, and training. This definition is fairly vague, but essentially it stops paying benefits once you’re able to return to a work in a field that you’re generally qualified for. It doesn’t have to be the exact same job and you don’t have to be making as much as you did before. As long as the job is “fair” based on your background, your insurance benefit will end. Transitional own occupation is essentially the same as modified own occupation except that it will continue to pay a benefit if you are making less than you did before. As an example, let’s say that before your disability you were working as a heart surgeon making $10,000 per month. Because of your disability you are no longer able to do surgery, so you have secured a job teaching heart surgery in a medical school that pays $5,000 per month. In this situation, a policy with the modified own occupation definition of disability would stop paying benefits completely. But a policy with the transitional own occupation would pay a reduced benefit to make up for the fact that you are not making as much money as you did before. In addition to the general definition of disability, some disability insurance policies exclude certain conditions from coverage, either because of a pre-existing condition or because it’s something they just don’t cover. Mental health conditions like depression and anxiety are common examples of things that many policies either don’t cover or only cover on a limited basis. If you have a pre-existing condition, it will probably be difficult to find coverage for it. Or if you are able to find coverage it will likely come with a higher premium. Regardless, it’s important to understand exactly what’s excluded and which conditions come with limited coverage. These exclusions can really impact the overall value of the protection. The benefit is the monthly amount you would receive in the event of disability. This is often expressed as a percentage of your income if you have a group policy through your employer (e.g. 67% of your gross income), and it’s usually expressed as a specific dollar amount if you have an individual policy (e.g $4,000 per month). Insurers pay close attention to both your income and your other disability insurance coverage when deciding how big a benefit to offer. Most insurers are reluctant to provide a benefit that would increase your total coverage to more than 70-80% of your income, since they want to make sure that you have an incentive to return to work. The expenses you would have to cover in the event of disability. You’d like your benefit to be big enough to comfortably cover at least your basic living expenses. Whether your benefit will be taxed. We’ll get into this more in the section comparing group policies to individual policies, but in general the benefit your receive from an employer-provided plan will be taxed and therefore won’t cover quite as much as it appears on the surface. Benefits from individual policies are typically tax-free. This is the maximum length of time that you can receive benefits. Many policies will continue to pay benefits until age 65 or 67, no matter when your disability begins, as long as you continue to meet the policy’s definition of disability. Other policies have a set maximum time period, such as 5 or 10 years. Given that disability insurance is meant to protect your ability to earn an income, you’d generally like your benefit period to last as long as you plan on needing that income. This is the amount of time you have to be disabled before you begin to receive benefits. Most long-term disability insurance policies have elimination periods ranging from 30-365 days. The longer the elimination period, the lower the premium, since it requires a more severe disability for the insurance to pay out. Each policy is different, but in general you’ll see significant cost savings by extending your elimination period to at least 90 days. This is another situation in which it pays to have a good emergency fund, since you can save money by self-insuring smaller medical issues. Your policy guarantee determines the conditions under which your premium can be raised or your policy can be cancelled. Your policy cannot be cancelled as long as you continue to pay the premium on time. Your premiums can increase, but only if your insurance company increases premiums for all policies in a similar risk class. In other words, the insurance company can’t decide to increase the premium for your policy only. 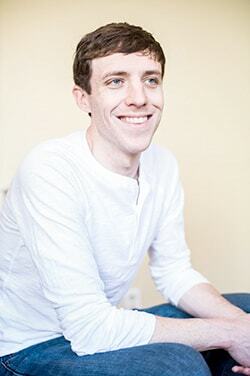 It has to be a company-wide decision across a broad population of similar people. Ideally your policy will be non-cancelable, which means that it can’t be cancelled (as long as you pay the premium on time) AND your premiums are fixed for the life of the policy. A residual benefit pays you a partial benefit if you are able to return to work but, due to your injury or illness, are not able to earn as much as you did before. This can make it easier to transition back to work over time without worrying about immediately losing your entire benefit, and it can also provide extended protection if you are never able to return to the same income you had previously. A cost-of-living adjustment (COLA) will cause your benefit to automatically increase by a set percentage in order to keep up with inflation. This helps ensure that you’ll always be able to cover your expenses, even as those expenses naturally rise. This feature allows you to purchase more coverage in the future if your income increases or you lose other disability coverage, either of which would make you eligible for an additional benefit. The real value here is that you can secure more coverage without an additional medical exam. Essentially, you are locking in your current medical condition so that you can increase your benefit without the associated extra cost, even if your health declines in the future. Your premium will still increase if you elect to increase your benefit, and that increase will still take your current age into account. This feature simply guarantees that you can get more coverage in the future if you need it and that your health won’t be a factor. Finally, you’ll want to get coverage through an insurer that is both financially strong and has a reputation for paying their customers fairly. You want your insurance company to be around when you need them and to provide your benefit without a fight. A group disability insurance policy through your employer or a professional organization. An individual disability insurance policy that you purchase on your own. Each type has its pros and cons, and in this section we’ll break them all down. In general, an individual disability insurance policy offers better protection than a group disability insurance policy for four main reasons. An individual disability insurance policy is yours as long as you continue to pay the premiums. No matter what. You can change jobs, change careers, change incomes, and start working at a much riskier job, and through all of that your individual disability insurance policy will remain unchanged. It will provide the same benefit, the same definition of disability, and the same premium. This is what’s meant by portable. You can take it with you wherever you go. That provides stability that is incredibly valuable. You know you’re covered no matter what. Group disability insurance is not as stable. You often can’t take it with you when you leave your employer, or if you can it will often come at a significant cost. And your employer could always decide to stop offering the benefit as well. In either case, you could be left without the coverage you need. Quite simply, an individual disability insurance policy is more likely to be there when you need it. Individual disability insurance premiums are paid with after-tax dollars, which means that any benefit you receive is tax-free. This can make the policy a little harder to afford on the front end, but it also means that your benefit goes further when you really need it. Group disability insurance policies are typically the opposite. The premiums are tax-deductible, like contributions to a 401(k), but your benefits are taxed. The exact difference depends on your current income and your expected benefit. In some cases it may actually be preferable to get the tax deduction now. But in general, it’s helpful to receive the tax break when you need the money the most, which would be during a period of disability. Quick note: Some employers allow you to pay some or all of your group disability insurance with after-tax dollars, which would make the benefit tax-free. With individual disability insurance, you’re able to shop around and find the policy that offers the broadest definition of disability and the fewest exclusions. With a group disability insurance policy, you simply have to accept whatever your employer offers. And group policies often come with more exclusions since they cover a wider range of people, typically without any medical exam. Put simply, individual disability insurance increases your odds of getting coverage with fewer holes in it. As we discussed in the prior section, there are a lot of features to choose from with a disability insurance policy. An individual policy gives you greater flexibility to pick and choose among those features as you’d like, designing the policy that best meets your needs. Group policies generally come as they are, which may or may not match what you want. With all of that said, there are some advantages to group disability insurance policies. Here are three of the biggest. Many employers offer at least some long-term disability insurance as a free standard benefit. Additional coverage may be available at a discounted rate (though it’s not always less than individual coverage). The premiums are tax-deductible, which is especially valuable for high earners. Quite simply, group disability insurance is often easier to afford. In the case of the tax deduction it can lead to smaller benefits, but when it’s hard to find the room in your budget for extra premiums, the cost savings can be helpful. The simple truth is that taking the group disability insurance offered by your employer will be a lot easier than securing an individual disability insurance policy, which requires you to seek out quotes from multiple insurers, compare them to find the right coverage for you and your family, and go through the application process and medical exam. Typically, all you have to do is opt-in during open enrollment. Simple as that. The medical exam is often the most invasive and inconvenient part of applying for individual disability insurance. You have to schedule a time for the examiner to meet you at your home or office. You have to answer a lot of personal questions about your medical history. They often take blood and perform other basic medical tests needed to evaluate your medical condition. And at the end of all of that, the insurer may decide that you’re too risky to insure or that you need to pay a higher premium for the coverage. On the other hand, group disability insurance is almost always offered without a medical exam. Again, it’s yours as soon as you opt in. Now, this often comes at the cost of less flexibility and weaker overall coverage. But if you’re in poor health or have certain pre-existing conditions, this might be the only way for you to get any coverage at all. And some coverage is almost always better than no coverage. Getting group coverage is easy. If your employer offers it, all you have to do is opt-in during open enrollment. But, to be completely honest, getting an individual disability insurance policy in place can be complicated and confusing. Because while every insurer bases their offer primarily on your income, occupation, and medical history, they all evaluate that data a little differently. One insurer might consider your job to be slightly riskier than another and therefore charge a higher premium. Another insurer might only consider certain types of income and therefore offer a smaller benefit. Finding the best policy requires an expert understanding of both your situation and the particularities of each insurer and the policies they offer. This is honestly not expertise that I have myself, which is why I work with a team of independent insurance advisors when I help my clients get disability insurance. But difficulty isn’t a reason to avoid the process altogether, so here are five ways you can get a disability insurance policy in place yourself. Many companies offer disability insurance as an employee benefit. You often get a certain amount of coverage for free with the option to buy more and pay for it tax-free through paycheck deductions. This has pros and cons that are discussed in detail in the previous section. In general, it’s easiest and cheapest to get disability insurance through work, but the protection isn’t as strong as getting it on your own and you may not be able to get a big enough benefit to cover all of your needs. But in many cases it provides a strong foundation that, when mixed with individual coverage, helps you get the coverage you need at a price you can afford. If you decide to get additional disability insurance beyond what’s offered at work, which is usually a good idea, an independent insurance broker can be a huge help. The main benefit of a good broker is access to the expertise we talked about above. A good broker will know how to match you with the right insurer based on your specific needs, occupation, and medical condition, and will help you adapt during the underwriting process to make sure you’re always getting the best deal available to you. That guidance can make the process a lot easier for you and make it more likely that you’ll end up with the coverage you need at a price you can afford. The drawback is that it’s hard to find a broker who both has that expertise and is genuinely working in your best interest. Many insurance agents either work for a specific company, and therefore push that company’s product, or aren’t knowledgeable enough about each insurer’s specific products to truly guide you through a complicated application process. It’s quite honestly hard to tell the good from the bad. You can start by Googling independent disability insurance broker + your city/state and calling a few of them. Ask them what types of clients they typically work with, what the process looks like, what criteria they use to make recommendations, and anything else that’s relevant to your situation. I would also ask if they can describe the last few policies they put in place and what caused them to choose those products for those clients. They should be able to explain that to you without giving away any confidential client information. You’re looking for a broker who put different clients with different insurers and who can clearly explain why they made those decisions. This shows both true independence and understanding of the variables involved. If, on the other hand, the broker is putting people with the same insurance company every time, that’s probably an indication that they’re more of a salesman than an objective advisor. Trust your gut as you go through this process. If anything doesn’t feel trustworthy, don’t be afraid to bail. But if you do find a good broker who is genuinely on your side, it can be a big help. The internet! It’s a thing! A number of online insurance brokers have been popping up recently and some of them are going a good job of making the process just a little bit easier. My favorite so far (and no, I’m not paid to recommend any of these people), is PolicyGenius. They’re independent, it’s an easy site to navigate, and they help you through the entire process. I’ve also had the chance to meet a few of their top people and I feel like they genuinely care about helping their customers. The big benefit of using an online broker is convenience. You can at least start the process online and these companies are doing everything they can to digitize the process as much as possible. You still have to go through the hassle of dealing with the insurance company, but everything is getting just a little more streamlined. The downside is that you don’t get the comprehensive guidance that a good, independent broker can provide. And unlike other services that have been taken online, like investing, there isn’t any inherent cost savings. The same disability insurance policy from the same company is generally going to cost the same no matter where you get it. You don’t need a broker or anyone else to get disability insurance. You can reach out to the insurance company directly and apply with them yourself. This might be a good way to get a few quotes on your own so that you can double-check any quotes your broker provides. But beyond that, I generally wouldn’t recommend this approach. There aren’t any cost savings and you lose the opportunity to get professional guidance as you try to figure out which insurance company offers the best policy for your specific situation. They’ll help you figure out your disability insurance need in the context of your entire financial situation, meaning they can better tailor their recommendation since they’re also working with you on your other financial goals. Because they’re fee-only, and therefore don’t earn commissions for selling financial products, they won’t have an incentive to recommend any particular company or product. You’re more likely to get objective advice that’s truly best for your personal situation. One downside is that it will likely cost you more than the other options, since you’ll be paying for the advice on top of paying for the insurance policy (though a good financial planner is more than worth the cost). Another downside is that fee-only financial planners don’t sell insurance, which removes a conflict of interest but also means you still have to get a policy in place once you’ve gotten the recommendation. 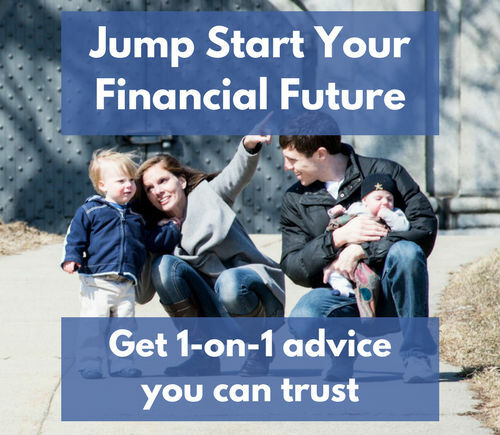 I have a team of independent insurance advisors I use with my clients to solve this problem and make it easy, but some fee-only financial planners may not have a solution like that. 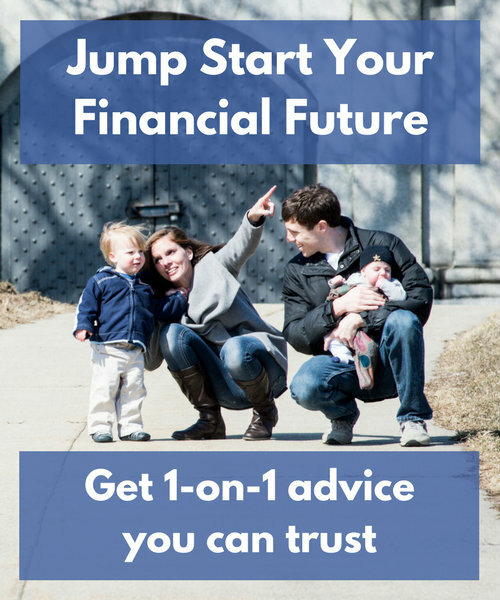 Still, if you’re looking for objective advice that takes your entire financial situation into account, this may be the best way to go. The sad truth is that getting pregnant and having a baby makes it difficult, and sometimes impossible, for women to get disability insurance, at least for a period of time. I wish it was different. I still get upset every time I run into this with a client, but I’ve seen it too many times now. There are two main reasons why insurance companies are reluctant to issue disability insurance to women who either are pregnant or recently took maternity leave. In this section we’ll explore those reasons and help you figure out what to do if you find yourself in this situation. I’ve learned the hard way that women who are in their third trimester of pregnancy are essentially uninsurable when it comes to long-term disability insurance. From the insurance company’s perspective there’s simply too much medical risk at that point to issue a policy. You will likely get a lower health rating because of your (naturally) elevated cholesterol, which means higher premiums. Your disability insurance would come with an exclusion for any complications resulting from pregnancy. You would likely be able to have that exclusion removed later on, assuming you didn’t actually end up having any complications. The coverage is valuable enough that it’s often worth applying during the first two trimesters anyways, if you can afford it. But for many people the extra cost plus the exclusions are too much too bear. The insurance company determines the benefit you’re eligible for by reviewing your recent tax returns and pay stubs. They then offer enough coverage to replace up to a certain percentage of that income, with the maximum replacement percentage often set at 70-80%. For example, if you have consistently been making $120,000 per year, or $10,000 per month, the insurance company might offer you a benefit of $7,000 per month to replace 70% of your income. The problem for women in particular (though certainly for some men as well), is that their income might temporarily decrease due to unpaid maternity (or paternity) leave, which could cause the insurance company to offer a lower benefit. Using the example above, let’s say that you took 3 months of unpaid maternity leave last year, meaning you only made $90,000 instead of $120,000. That translates to $7,500 per month, meaning that the insurance company may only be willing to provide you with a $5,250 monthly benefit (70% of last year’s income). In that case, you might find yourself in a situation where you’re back working full-time, making $10,000 per month, but you’re only able to get a $5,250 benefit, which is $1,750 less than you should qualify for based on your current income. Yes, I agree. This seems incredibly unfair. Childbirth and unpaid leave are such a common and standard part of our culture that the insurance companies should be able to figure out how to properly evaluate a temporary decrease in income. But they haven’t yet, which is why you are unfortunately left to make plans around these ridiculous policies. You’re at peak health, without any of the naturally-occurring health changes that come with pregnancy. Insurance companies may not be quite as worried about scrutinizing your medical records, since they don’t need to check to see how the pregnancy is going. All of which means you’re more likely to get a better health rating, and therefore a lower premium. You’ll have the policy in place during pregnancy and childbirth, when your risk of disability is higher than normal. What if you’re already pregnant or just took unpaid leave? If you’re already pregnant or you recently took unpaid leave, you have a few options. If your open enrollment period is coming up, you can maximize the amount of long-term disability insurance you get through work. With no medical exams to pass, you shouldn’t have any issues. Having a baby should also count as a qualifying event, which means that you should be able to update your employee benefit elections even if it’s not open enrollment. This is another opportunity to get additional coverage. If you’re still early in your pregnancy, you could apply for disability insurance now with the hope of securing coverage, even if it comes at an additional cost. You’ll need to weigh the fact that it probably won’t cover disabilities that result from pregnancy against that additional cost and decide whether the protection worth it. If you’re already in your third trimester, or if you’re earlier in your pregnancy and find that the premiums are too expensive, you can wait and apply for disability insurance after your baby is born, typically after your 6-week postpartum checkup. At that point your vitals should have returned to relatively normal levels, allowing you to qualify based on your actual medical condition. Though the exact timing will vary from woman to woman. This one is a little tricky since it depends on the timing of your leave. The worst-case scenario is a long, unpaid leave that began the year before and carried into the current year. That’s because you’ll have a reduced income reflected on both your prior year’s tax return and your year-to-date earnings. You’re in better shape if either last year’s tax return or this year’s year-to-date earnings shows your full income. But you still may run into issues depending on the insurance company you work with. I would generally recommend applying for disability insurance no matter what simply because you may be able to get some coverage in place, and some coverage is better than no coverage. But if you aren’t able to qualify for your full benefit, you’ll have to wait until either later in the year, when you can show higher year-to-date earnings, or next year once you have a new tax return that reflects a higher income. Disability insurance is not the most enjoyable piece of your financial plan to put in place. It’s complicated, it’s expensive, and it’s morbid to think about the possibility of being disabled. But when it comes down to it, protecting your ability to earn money is one of the most fundamental and important security measures you can put in place. Without that future income, reaching any of your other personal and financial goals becomes a lot harder. Disability insurance provides a big piece of that protection. There will still be other risks to your ability to earn a living, but with disability insurance in place you can wipe health off that list. That protection is almost always worth the cost. As always, thanks so much for this comprehensive information! Are there any options for covering stay at home parents? Since it pays a percentage of your income, I don’t know how that’d work…but if a SAH parent couldn’t watch the kids and then daycare costs were incurred, that seems like a big problem families (including mine) would face. You’re welcome Britt! And great question. You’re right that stay-at-home parents aren’t eligible for disability insurance, since the coverage is based on income. But you can qualify for something called critical illness coverage, which essentially pays a lump sum if you are diagnosed with one of the covered medical conditions. It is less comprehensive than long-term disability insurance, and doesn’t offer as large of a potential benefit, but it can certainly be helpful in the right situations. The trouble again is shopping for coverage. 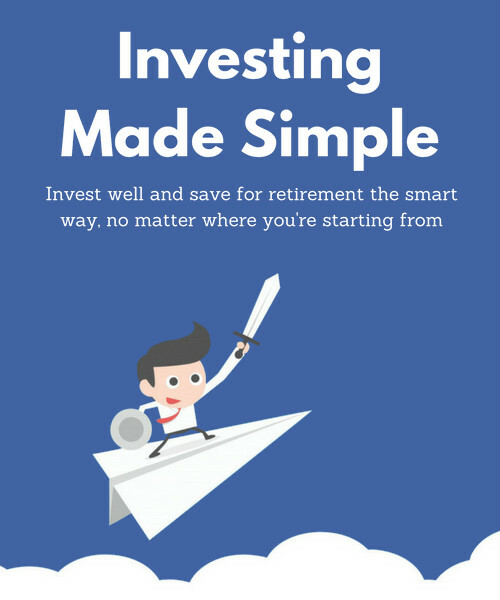 These policies can be hard to understand (I need help myself) and it’s difficult to find a good broker who is knowledgeable about the product and can genuinely help you navigate the market. I wish I had a better answer for you then that, but hopefully it’s a helpful place to start. For medical reasons, I could not get disability insurance so I went with Critical illness insurance and accident insurance coverage. Amazingly helpful information! Thank you for writing a clear overview of disability insurance and then diving into examples and scenarios that young individuals and families can relate to. I am a parent of adult children in their 20’s who are embarking on their lives in good careers and relationships. I have shared other articles of yours with them (buying vs renting a house was a recent one!) and I plan on sharing this article with them too. You’re right, disability insurance is difficult to understand. Your article was very informative and I learned a lot. You’re welcome Caroline, and thank you for the kind words! I’m flattered that you’re willing to pass this on to your children. That means the world to me. Hello,iv contacted a few insurance places including aflac, and they said they only go through an employer. Do you the names of companies that offer plans for individuals? The companies and policies they offer vary by state, but some of the major companies include Guardian, Standard, Principal, MassMutual, and MetLife. I would highly recommend finding a good, independent insurance broker though who has expertise on the specific policies available to you and can guide you through the process. Sorry to sound so negative, Matt, but RIPOFF, RIPOFF, RIPOFF! I now have three friends/relatives that have paid into long term disability insurance only to be told “oh, since you’re receiving SSDI, you get nothing, or next to nothing from us!”, All from large national insurance companies, one relative sued and won a payment of $400/month. Invest your money anywhere but in this scam! I’m sorry to hear that your friends and family have had such negative experiences Raul. I can only imagine how frustrating that must have been for them. And I definitely agree that not all disability insurance policies are good, which is one of the reasons it’s so hard to shop around. But there are certainly good policies available, if in my opinion it’s usually worth paying for as long as you know the benefit will really be there when you need it. I would check your employee benefits first Mike. Many companies offer at least some amount of short-term disability coverage. If yours does not, or if you need more, I would do my best to find an independent insurance broker you trust who can help you find the right policy for your specific needs. Another important item to note is to look for disability insurance discounts. This can help people save between 10-70%, especially for women if they can obtain a unisex discounted policy. Discounts are primarily available through experienced independent brokers. Getting disability insurance when you are at peak health is very crucial since the product covers you till the age of 65 years. Unfortunately, my application was rejected due to my medical history. I have to wait another 5-7 years and then reapply. I’m sorry to hear about your trouble getting coverage Sam. And I agree that it’s often better to get at least a little coverage than none at all. I will say that it’s often not easy to increase your coverage over time. There’s the hassle of having to constantly reapply, which is not a quick or simple process. And then there’s the fact that medical issues can make it harder or impossible to get coverage, and in any case the premiums will get more expensive as you get older. That’s not to say that you should always get as much coverage as you can as soon as you can. I just wanted to point out that the strategy of gradually increasing your coverage over time may be difficult. I meant increasing coverage by using riders (some of them come free of cost). I understand the above riders won’t help much if there is no raise in income or loss of coverage from employer. That’s a good point Sam, and yes most disability insurance policies that I’ve seen do offer some kind of future increase option. The only catch is that many also you require to accept a minimum percentage of the full amount of coverage that you’re initially eligible for in order to keep the rider. For example, you might be require to accept 75% of the coverage available to you or else the rider is dropped. That would potentially eliminate the ability to only start with 10%-20% coverage IF you wanted to maintain the ability to increase it later on. Hello. I just started a new job and got my first paycheck today. I noticed that it had a charge for Short Term Disability insurance on it. I was surprised because of 2 things. One: Every other company I’ve worked for prior to this one has paid that insurance for me and was a benefit given to me for free. Second, I never asked for or desired this insurance from them. So, my question is: Do they have the right to enroll me in an insurance that I did not request to be enrolled in or gave my consent for and then, on top of that, charge me for it? I think they have a lot of nerve. Can I opt-out of it by law by filling out a specific form?? Thank you. Thanks for reaching out Brian. Your employer should have provided you with enrollment options when you were hired, once of which likely would have been this short-term disability insurance. It may be that the default election was to accept the coverage and you would have had to opt out if you didn’t want it. There are also some states, such as California, in which certain employees automatically pay into a state-sponsored short-term disability program. Thank you for your reply. They did have me fill out, over the phone, a form indicating which of the offered insurances I wanted to enroll in. So, I didn’t even give it a second thought. I got a printout confirmation showing exactly what I elected to enroll in, which coverage I waived, and which coverage the company is paying for. Short Term Disability was not one of them. When I questioned H.R. about this, they said that everyone is paying for and is enrolled for this insurance. When I replied and asked “So, we don’t have a choice of whether or not we want this insurance?”, I got no response. I think most people would look at this (if they even notice) and say “Oh, it’s only a small amount per check. So, why bother with it?” That’s not the point. The company, without our consent or even asking us, signed us up for Short Term Disability insurance. I was never given the option to opt-out of it. They just enrolled me without my knowledge. I think that’s very nervy of them, not to mention illegal, if I’m not mistaken (am I correct?). They are paying for Long Term Disability; which they were up front about. But, only after seeing my first paycheck where I was being charged for the Short Term Disability insurance did the subject ever come up. I am in Illinois and the research I did says that it’s not required by law to have it and, I have the right to opt-out of it and my employer can’t force me to have it. Can you confirm this information for me? Thanks, Matt. I understand your concern Brian and I wish I could help, but I honestly don’t know the legal implications of what you’re asking about. You would have to pursue legal counsel if you wanted to go beyond asking your employer about it. Good luck with everything. If your Human resources person cannot explain the benefits to you, you gave the right to call to insurance broker they use for employee benefits. Regardless of who pays the policy premiuns, it is your policy. LTD is an optional benefit and you have the right to decline coverage from the job. STD is usually an “in-house” benefit handled by the employer through their liability policies for operating the business. For that reason, You shouldn’t have to pay for that part. Believe me, if you ever need to use it, the job will take two steps back and you will deal with the Insurance co. on your own. You need to know how this policy works now, not later.